In 1967, fifty years ago, by some miracle of grace the Holy Spirit was poured out upon Patti Mansfield while she was on retreat with other Duquesne University college students in Pittsburgh, Pennsylvania at the Ark and Dove Retreat Center. Patti did pray for a miracle and she certainly received one. It was a current of grace that eventually moved across the world. To prepare for her retreat she prayed, fasted and was docile to the Holy Spirit. She and all the other retreatants were instructed to read the first four chapters of the Book of Acts in the Holy Scriptures and also the book The Cross and the Switchblade by David Wilkerson. 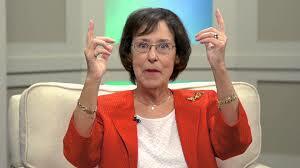 Patti's prayer was, "Lord, ... I believe I already received your spirit in Baptism and Confirmation, but if it is possible to receive more, I want it." She and those on the Duquesne week-end retreat invoked the Holy Spirit with the hymn "Veni Creator Spiritus". In addition, they also had a penance service at the retreat where they repented of their sins. This opened them up to receive the great outpouring of the Holy Spirit. Patti continued to pray, "Jesus be real to me." She told the Lord, "I give my life to you, whatever you ask of me, I accept it, and if it means suffering, I accept that too. Just teach me to follow Jesus and to love as He loves." Patti's example is one to follow. 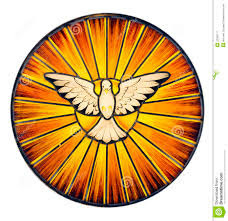 Invoke the Holy Spirit, pray and fast. Repent. Ask for more. Expect a miracle. And see what happens. 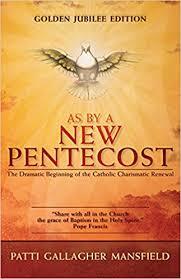 You may enjoy reading Patti's book: As By A New Pentecost. I was recently recalling my experience with being "baptized in the Holy Spirit." This is when I opened up to an outpouring of God's love. I was in my early twenties--many many years ago--and I attended a charismatic conference. A young woman was one of the guest speakers and I sat there thinking "I want what she has"; she had an ability to teach and preach and a confident presence about being in front of a crowd. I felt shy and afraid of speaking in front of others. So on a break at the conference I asked a woman, who I knew was a leader, if she would pray for me. I told her I wanted what that young lady had. She promptly did pray and another woman joined her. This is when I experienced a great outpouring of the Holy Spirit upon me and I began to speak in other tongues. You may have heard of that gift before--"speaking in tongues." The woman praying for me interpreted the tongues, and she knew I was proclaiming the Magnificat. Do you know that prayer which Mary proclaimed when she visited her cousin Elizabeth? 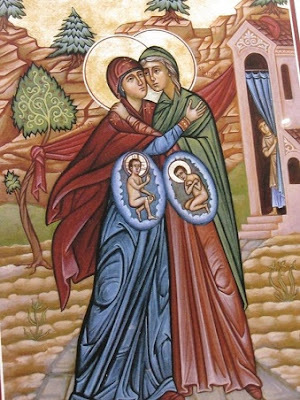 It's the story of the visitation found in the gospel of Luke. The Lord certainly did look with mercy upon me that memorable day and he will look with mercy upon you to as you turn to him and ask for more of the gifts of the Holy Spirit. It's really pretty simple--just ask and receive. If you feel something is blocking the reception of the gifts then ask for mercy. Ask for the Lord's forgiveness for anything you have done that has displeased him and separated you from God. You can be reconciled and restored to grace. There is where I long to be daily--in a state of grace, not sin. So it's a daily turning to him and repeating the same desires--the desire for His mercy, forgiveness, blessings, and more of the gifts of the Spirit. Honestly, I can't get enough. It's a never-ending well of blessings. Pray with expectant faith and drink deeply, my friends, of the goodness of the Lord. As you do you can't help but proclaim the greatness of the Lord.